Not everyone's happy with the scale of the project: the University of Manchester team, who'd been instrumental early in the project, is no longer involved. 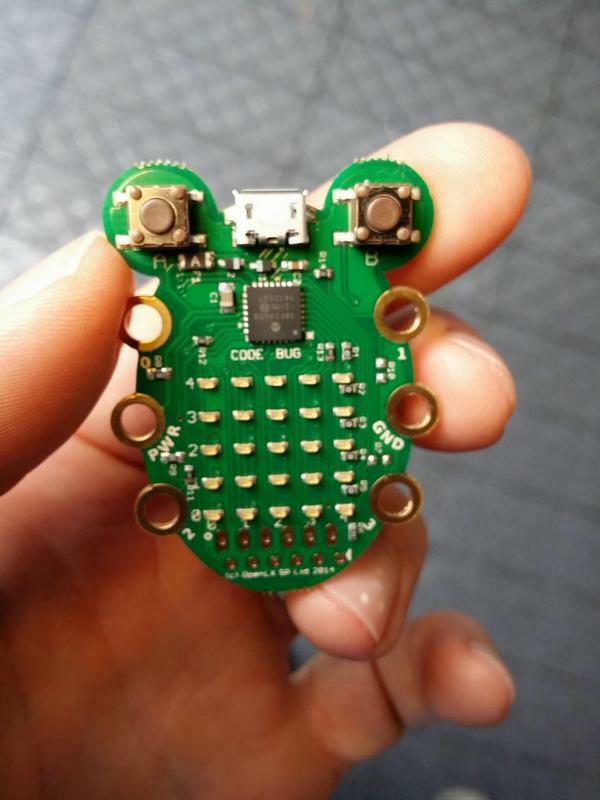 In April, three of them funded a device -- the CodeBug -- on Kickstarter. 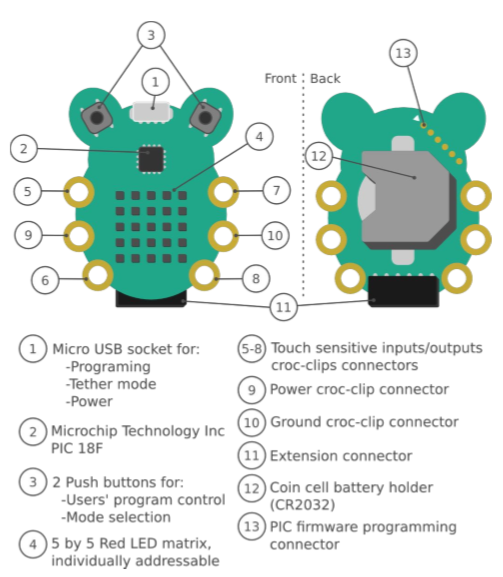 Backers noted similarities with micro:bit. "It's complicated, and the BBC has a big legal department," says CodeBug co-founder Andrew Robinson. "I want to be sympathetic, because we want the same thing." Very interesting reading, it certainly explains the similarities (as were questioned at the time). The major redesign and massive feature bloat of the microbit has delayed delivery until 2016 and will undoubtedly push the price per unit up too (I know that people will want to buy replacements / spares or just adult hobbyists wanting them for themselves (I think everyone here will fall into that last category)). back in March. Then, the corporation –- and its several high-profile partners, from ARM to Microsoft and Samsung – launched a massive redesign, after the original 'Blue board' prototype was deemed as ugly and unfit for purpose in internal meetings. in all honesty, I prefer the blue board version to the current credit card layout. Hmm, I wonder if we will miss those extra connections, it would be nice to have them but I wonder what we will be able to connect via i2c eventually (magnetometer perhaps?). and think the other 6 are now on the back diagonally as "firmware programming"
This has my "best guess" pinout information using the datasheet. It shows which pins go where. It has gaps, but nothing that me messing with an oscilloscope won't keep hidden for long.